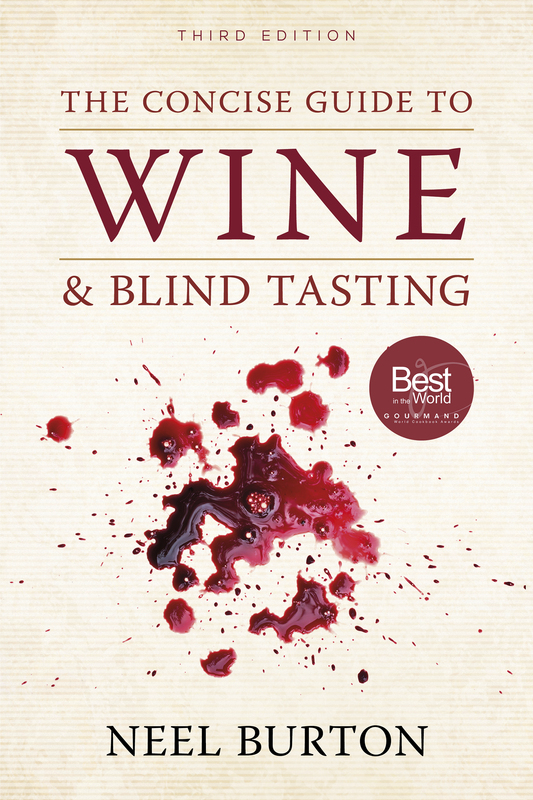 I’m delighted to announce that the new, third edition of The Concise Guide to Wine and Blind Tasting is now in stock and shipping from the UK warehouse. Just in time for Christmas, phew! Apart from some light reorganizing, refreshing, and enriching, the third edition includes new chapters on the philosophy of wine, Greece, and Georgia, and new sections on Savoie, Irouléguy, Corsica, and Montilla-Moriles. Following recent research trips, I have reworked the chapters on Austria, Burgundy, Chile, and Hungary, and the sections on Cahors, Madiran, Jurançon, Languedoc- Roussillon, Sicily, and Sherry. Many thanks to all those who helped me design the striking cover. In the 19th century, French Basque settlers brought the Tannat grape into Uruguay, a small bucolic nation to the northeast of Buenos Aires. Today, Uruguay is a welcoming, liberal, and forward-looking country with lush grasslands, virgin beaches, and no traffic jams. Cattle, mostly reared on grass, outnumber people by four-to-one, and an invitation to stay for lunch typically takes the form of “Would you like an entrecôte?”Many people assume that Uruguay is a tropical country, but, at 35 degrees South, the capital of Montevideo shares a similar latitude to Colchagua in Chile, Cape Agulhas in South Africa, and McLaren Vale in Australia. Uruguay is at the northern end of the cold Falklands Current, and the Atlantic Ocean exerts a strong moderating influence, as does the immense Plata Estuary at the confluence of the Uruguay and Paraná Rivers. Indeed, the climate in and around Montevideo is often compared to that of Bordeaux, although average temperature and average rainfall are both higher. The most common training systems are espaldera alta (VSP) and lyre to mitigate against high humidity and minimize frost damage. The terrain in Uruguay is mostly flat or gently undulating. The coastal and more populated south of the country accounts for some 90% of production, and the Canelones department around Montevideo accounts for some two-thirds of that. The soils in Canelones are for the most part limestone clay. Other centres of viticulture include Carmelo near the Argentine border, and Garzón to the east in the Maldonado department. Garzón is noted for its rockier granitic soils and slightly cooler climate and has seen some heavy investment especially from Argentina. Uruguay counts around 180 wineries, often run by the third or fourth generation of Italian, Basque, or Catalonian settlers. From the 1970s, these families shifted from bulk to quality wine production, with a focus on Tannat which has come to account for more than a quarter of the ~6,500ha under vine. In my time in Uruguay, I tasted every possible style of Tannat, including a soft, ‘nouveau’ style made by carbonic maceration (at Pizzorno) and even a sparkling style made by traditional method double fermentation (at Pisano). The signature full-bodied style is deep purple with a heady aroma of plum and dark fruit, tobacco, leather, and petrichor. In the mouth, the wine is full-bodied with high tannins, balanced alcohol, and refreshing, multiform acidity. Compared to Madiran or Irouléguy (which are also Tannat or Tannat-dominated), it is likely to be softer, with slightly higher alcohol and more spiciness than minerality. Other important grape varieties in Uruguay include Merlot, Cabernet Sauvignon, Pinot Noir, Sauvignon Blanc, and Chardonnay, and I also tasted successful examples of Petit Verdot, Riesling, Syrah, Tempranillo, Torrontes, Viognier… Because there are many parallels between Garzón and Galicia, I was very curious to taste the Albariño from Bodega Garzón: compared to its Old World counterpart, it is fuller and riper, with notes of white peach, canteloupe melon, honey, fennel, sage, and cardamom, a bitter and balancing backbone, and a long and salty finish. Because Uruguay has no appellation system, the wineries have a very free hand to experiment and respond to consumer tastes. With some ‘softening’ blends, this can seem as much a curse as a blessing—by which I mean, if you’re going to put 20% Viognier into your Tannat, you might as well be making Merlot. Unfortunately, Uruguayan wines can be hard to source. Compared to Chile and Argentina, production is small and artisanal, and the silver beaches around Punta del Este are a magnet for well-heeled (and often high-heeled) Argentine and Brazilian tourists. Still, most wineries are keen to export their wines and show the world what they can do. Favourite producers include Pisano (the RPF range is especially good value), Antigua Bodega Stagnari (try if you can the Osiris), Bouza (pronounced ‘Bow-za’), Familia Deicas, Garzón, de Lucca, Marichal, Pizzorno, and Viñedo de los Vientos. 2018 is an exceptional vintage in Uruguay, while 2014, owing to harvest rains, is the weakest in recent years. Anger is a common and potentially destructive emotion that turns many a human life into a living hell. It’s hard to imagine a truly wise person like the Dalai Lama ever losing his temper. By a careful meditation, we can learn to control our anger and maybe even banish it entirely from our lives. The philosopher Aristotle discusses anger at great length. In the Nicomachean Ethics, he says that a good-tempered person can sometimes get angry, but only as he ought to. Such a person, he continues, might get angry too soon or not enough, yet still be praised for being good-tempered. It is only if he deviates more markedly from the mean with respect to anger that he becomes blameworthy, either ‘irascible’ at one extreme or ‘lacking in spirit’ at the other. In the Rhetoric, Aristotle defines anger as an impulse, accompanied by pain, to a conspicuous revenge for a conspicuous slight that has been directed either at the person himself or at his friends. He adds that the pain of anger can be accompanied by pleasure arising from the expectation of revenge. I’m not so sure. Even if anger does contain a part of pleasure, this a very thin kind of pleasure, akin to whatever ‘pleasure’ I might derive from saying “if you ruin my day, I’ll ruin yours” or “look how big I think I am”. A person, says Aristotle, can be slighted out of one of three things: contempt, spite, and insolence. In either case, the slight betrays the offender’s feelings that the slighted person is obviously of no importance. The slighted person may or may not get angry but is more likely to do so if he is in distress—for example, in poverty or in love—or if he feels insecure about the subject of the slight or about himself in general. On the other hand, he is less likely to get angry if the slight is involuntary, unintentional, or itself provoked by anger, or if the offender apologies or humbles himself before him and behaves like his inferior. Even dogs, says Aristotle, do not bite sitting people. The slighted person is also less likely to get angry if the offender has done him more kindnesses than he has returned, or obviously respects him, or is feared or admired by him. Once provoked, anger can be quelled by the feeling that the slight is deserved, by the passage of time, by the exaction of revenge, by the suffering of the offender, or by being redirected onto a third person. Thus, although angrier at Ergophilius than Callisthenes, the people acquitted Ergophilius because they had already condemned Callisthenes to death. Writing two thousand years before the birth of psychoanalysis, Aristotle seems to have put his finger on the ego defence of displacement, with the people’s anger for Ergophilius ‘displaced’ onto Callisthenes. There is a clear sense in which Aristotle is correct in speaking of such a thing as right or proper anger. Anger can serve a number of useful, even vital, functions. It can put an end to a bodily, emotional, or social threat, or, failing that, it can mobilize mental and physical resources for defensive or restitutive action. If judiciously exercised, it can enable a person to signal high social status, compete for rank and position, ensure that contracts and promises are fulfilled, and even inspire positive feelings such as respect and sympathy. A person who is able to exercise anger judiciously is likely to feel better about himself, more in control, more optimistic, and more prone to the sort of risk taking that promotes successful outcomes. On the other hand, anger, and especially unconstrained anger, can lead to poor perspective and judgement, impulsive and destructive behaviour, and loss of standing and goodwill. So, it appears that the sort of anger that is justified, strategic, and adaptive ought to be distinguished from a second type of anger (let us call it ‘rage’) that is uncalled for, unprocessed, irrational, indiscriminate, and uncontrolled. The function of rage is simply to protect a threatened ego, replacing or masking one kind of pain with another. But even right or proportionate anger is unhelpful in so far as it is anger, which is both painful and harmful, and harmful because it involves a loss of perspective and judgement. Here’s an example. Anger, and especially rage, strengthens correspondence bias, that is, the tendency to attribute observed behaviours to dispositional (or personality-related) factors rather than situational factors. For instance, if I forget to do the dishes, I am under the impression that this is because I have been busy and suddenly felt very tired (situational factors); but if Emma forgets to do the dishes, I am under the impression that this is because she is lazy or irresponsible or maybe even vindictive (dispositional factors). More fundamentally, anger reinforces the illusion that people exercise a high degree of free will, whereas in actual fact most of a person’s actions and the brain activity that they correspond to are determined by past events and the cumulative effects of those past events on that person’s patterns of thinking and behaving. Emma is Emma because she is Emma, and, at least in the short-term, there is precious little that she can do about that. It follows that the only person who can truly deserve our anger is the one who acted freely, that is, the one who spited us freely and therefore probably rightly! Anger is a vicious circle: it arises from poor perspective and makes it much poorer still. This does not mean that anger is never justified, as a display of anger—even if undeserved—can still serve a benevolent strategic purpose, as when we pretend to get angry at a child for the benefit of shaping his or her character. But if all that is ever required is a calculated display of anger, then true anger that involves real pain is entirely superfluous, its presence serving merely to betray… a certain lack of understanding. The world is as it is and always has been: raging against it is hardly going to make anything better. And it is by truly and permanently understanding this that we can banish real, painful, and destructive anger from our lives. But this, of course, assumes that we can accept the world for what it is.